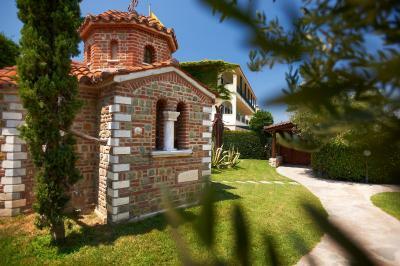 Lock in a great price for Acrotel Athena Pallas Village – rated 8.8 by recent guests! Great value for money. Comfortable room. Good restaurants. It was a wonderful all inclusive hotel with a great pool and excellent beach. We loved it. The restaurant was superb. The staff was great. 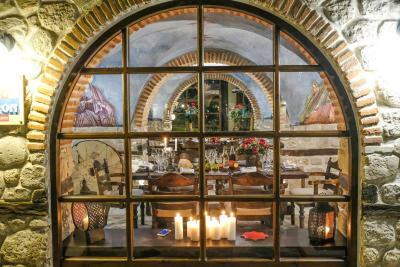 The staff is very helpful and kind, from the driver for transfer to the receptionist, all the waiters and the cooks. During check-in, they upgraded our room to executive suite, which is much appreciated :) The food at Doxato (main restaurant) tasted mostly fresh and delicious. There is a supermarket near for shopping. 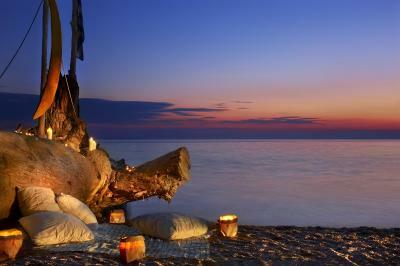 Evening visits near the hotel for a dinner in Parthenonas (fantastic view) or Neos Marmaras are strongly suggested. we stayed 5 night's at the small apartment in the private area. 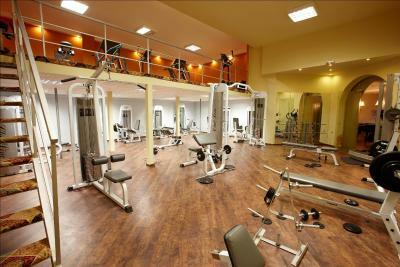 it was quite with very nice facilities. clean and well maintained. Stuff was really amazing. The location is great, the beach is just across the street, there is also underground tunnel which leads directly to it. 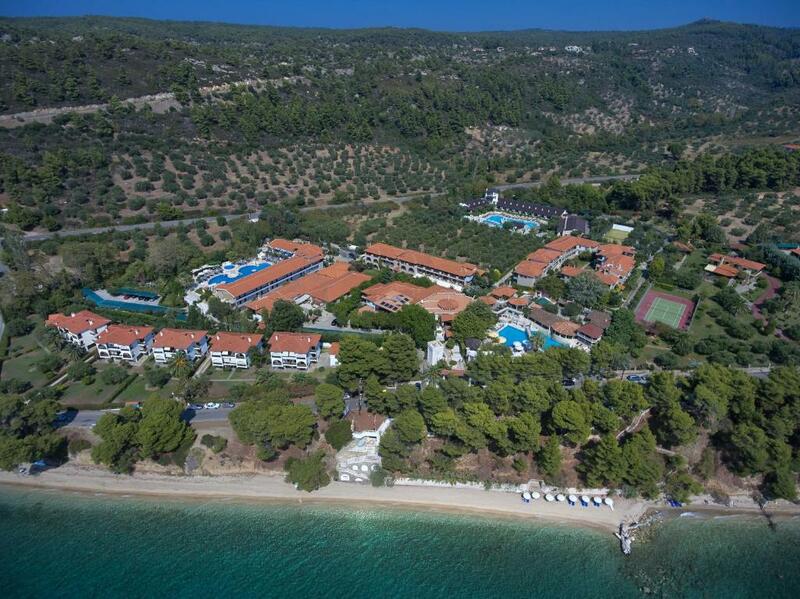 Surrounding is really nice, wild nature, pine and olive trees, the sea.. I like the concept of how the hotel "village" was organized, the pool areas, tavernas, beautiful gardens to walk through..
We liked the surroundings. Pine trees along the path above the sea. Great beach and very nice staff especially at the reception. We had a wonderful time at the hotel. The environment is beautiful, the resort is very clean, well designed and very quiet. The beach is exquisite with a beautiful sunset view. On top they are Pet friendly which is a very positive thing . Hotel staff is extremely friendly and the food is delicious. Location, cleanliness, professionalism of the staff. Very tasty breakfast and dinner buffet with lots of choices. 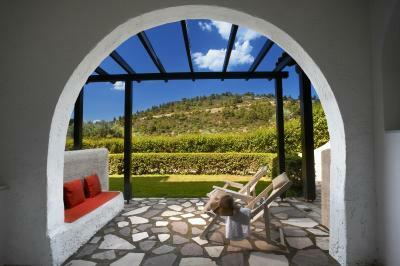 Quietness, well maintained resort, superb swimming pools. Highly recommended ! 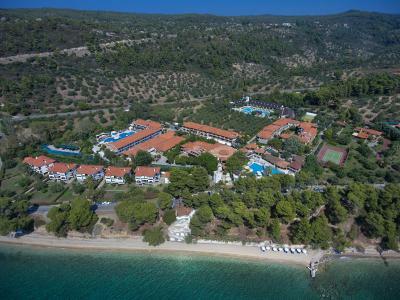 Acrotel Athena Pallas Village This rating is a reflection of how the property compares to the industry standard when it comes to price, facilities and services available. It's based on a self-evaluation by the property. Use this rating to help choose your stay! 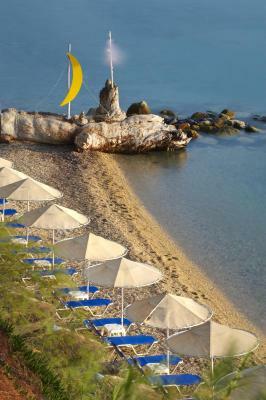 Athena Pallas Village, a member of Acrotel Hotels and Resorts includes its own private beach. 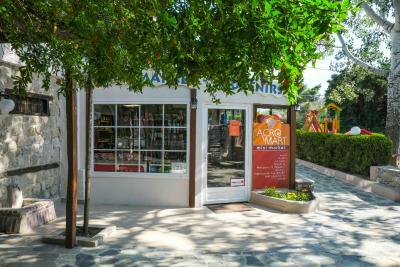 It is located on the coast of Elia, within a radius of 5 mi from Neos Marmaras and 6.8 mi from Nikiti. 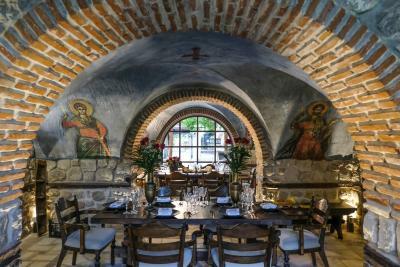 Guests can also enjoy a certified Greek breakfast and go on a gourmet journey in Greek cuisine, through the "Acrotel Dine Divine" series, consisted of five theme restaurants. 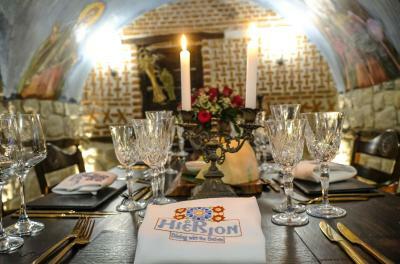 One of which, Hierion, was awarded in the 2018 Tourism Awards in the "Gastronomy" category, for the unique restaurant concept it presented. It resembles a "Trapeza" - the refectory of Athonian monasteries. There are also five bars. Athena Pallas’s rooms come complete with satellite TV, air conditioning and mini-bar while maisonettes feature wooden beams and stone features. The hotel’s spa center extends into a 1200 m2 area. 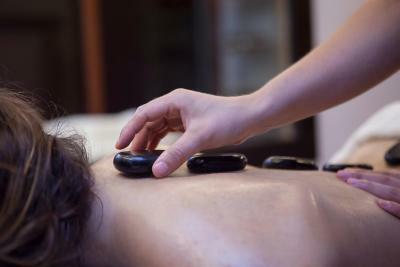 It includes massage rooms, manicure - pedicure room, sauna, steam baths and salt/herbal essential oil baths. All products are cruelty free and vegan. 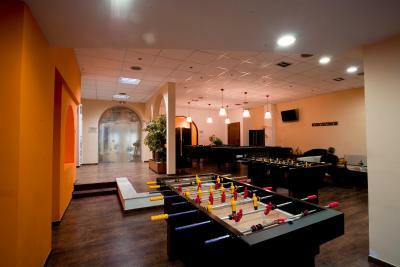 Children's pools, a tennis court, cinema, bowling, table tennis, billiards and a fitness center are also on site. 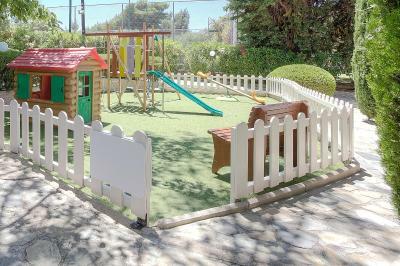 For younger guests there is also the Mini Kids Club. Tours, activities and currency exchange services are also provided. 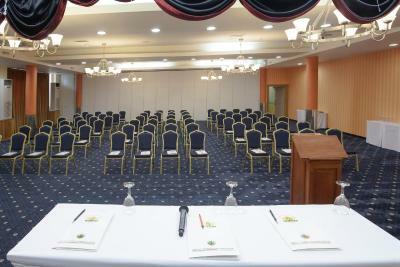 Events, such as wedding receptions, bachelor parties, birthday parties, conferences, corporate meetings and exhibitions are organized. 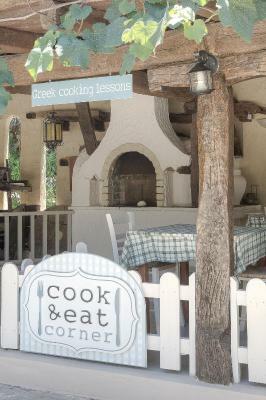 When would you like to stay at Acrotel Athena Pallas Village? Traditionally decorated with stone walls and beamed ceilings, this split-level apartment offers an espresso coffee machine, scales in the bathroom and a spa bath. This apartment has air conditioning, satellite TV and mini-bar. 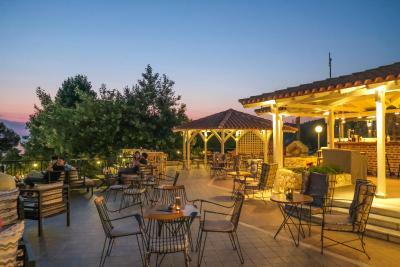 Never before has luxury, elegance and modern comfort coexisted so harmoniously with the majestic landscape of Sithonia. Live your own fantasy in Athena Pallas Village, the “flagship” of Acrotel Group, located in Elia Beach in a peaceful and beautiful setting, next to pine forests and the clear blue sea, in perfect harmony with nature, ready to offer you the warmth of Greek hospitality. House Rules Acrotel Athena Pallas Village takes special requests – add in the next step! All children under 2 years are charged EUR 2 per night in a crib. Acrotel Athena Pallas Village accepts these cards and reserves the right to temporarily hold an amount prior to arrival. Please note that pets up to 5 kg can be accommodated at an extra charge of EUR 20, per day. Please note that pets are not allowed in the Spa area and restaurants. Reception ladies little complicated. Need time for check out. Spa closes at 7 pm. The tile file floor was really cold and uncomfortable. Also the pillows were so thick and big both me and my partner had a very bad sleep with neck pain in the morning. The next day we asked for another pillow and they were very kind to provide them to us. they were better than the first ones but still not so comfortable. The shower in the bathroom made all the floor wet, I couldn’t find the coffe that match my taste, the bar closed early, we missed the breakfast ending at 10,30. Beds are comfortable, environment is good for sleeping, bathroom is big, breakfast has big variety, the complex is quite with great view at the sunset. The very bad attitude of the receptionist that we had to deal with on several occasions and her lack of manners made our stay at the hotel unpleasant. The cheapest accommodation in this hotel, the classic double room does not fit into 5 star accommodations. Room and bathroom are unexpectedly small. The environment is beautiful, the beach is exquisite! Beautiful sunset view ♡ Te complex is well designed, it is very quiet. If you are a fan of non- classic hotel accommodation this is the right place for you. Hotel staff is extremely friendly. Expensive for the average traveller. Thanks to Kalliope we had a lot of information about interesting sights, beaches etc. The beach of the hotel wasn’t so good as describe and anyone can use it no matter if he is a guest of the hotel or not. We didn’t have any drinks include in the dinner ( it was a half board package) neither water. 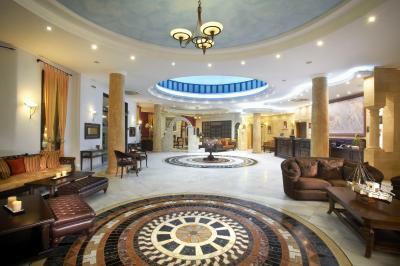 The cleaning of the rooms happens after 1:30pm and that disturbs the guest’s rest. Definitely the money didn’t response to the service that we receive. 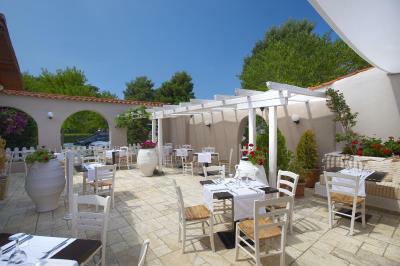 Delicious breakfast, polite stuff(most of them), good location, near to great beaches. The most important plus for me and my husband was that the hotel is near to very beautiful beaches so it wasn’t a problem for us to go there with our car.